Nandi County has registered a total of 70, 259 new voters in the recently concluded voter registration exercise that ended on Sunday. 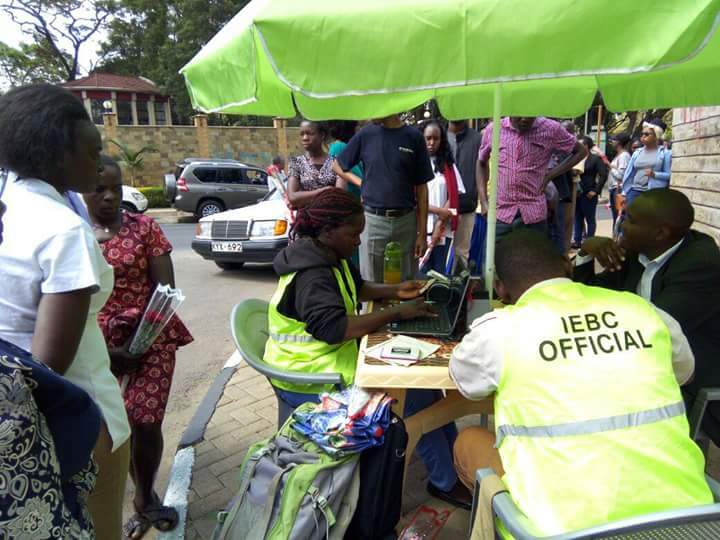 According to Nandi County Returning Officer’s spokesperson Mr Noah Baima IEBC had a target of registering 103,848 new voters. However, the commission managed to register 70,259 voters translating to 68%. Nandi Hills constituency registered the highest number of voters of the target equivalent to 10,630 (71.67%), followed by Emgwen 12, 788(71.28%), Tindiret 9,681 (69.72%), Chesumei 12,477 (69.19), Mosop 11,494 (62.42%), and Aldai 13,089 (63.58%). Mr Biama further noted that despite the fact that Aldai constituency registered the highest number of new voters, its percentage was way below the target. Additionally voters who transferred from other Counties to Nandi added to 6, 514.The newly enlisted voters adds to already 254,000 registered voters in 2013 totalling to 324, 259 voters. Moreover, Mr Biama has expressed gratitude to all the stakeholders who participated in the voter registration mobilization exercise.